Before I deal with a very important educational update, I want to directly address the three groups of blockaders and their fan clubs. To the Unist’ot’en and Gidumt’en blockaders on Morice River Road, and the Camp Madii Lii on the Suskwa River Road. As a senior, and a local I have been around as long as your elders have been living here, working here and raising my family here. I fully agree that your elders (not you) were the victims of a lot of injustice, not done by me, or the people born after me. That’s life, and clearly Canada is working on correcting that. Since when have we become so fragile that police need cultural training to deal with us? This is part of the bubble wrap generation of kids, our fathers and their fathers and up the line have been dealing with the RCMP for over 100 years. 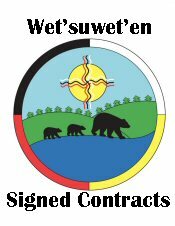 Quote from Freda “We never signed no treaties, and we proved in the Delgamuukw that this is our territory and they have to get our consent before any project goes through.” In the article below I will prove that you did NOT prove you owned the land, and that Canada does not need your consent to proceed with projects. Time immemorial is a phrase meaning time extending beyond the reach of memory, record, or tradition, indefinitely ancient, “ancient beyond memory or record” Meaning you have no evidence to support your claims. When you inject the word “we” that part still has not been proven, it could have been the Carrier-Sekani or Nishga and not the Unist’ot’en, or possibly a dozen other First Nations passing through over time. There are so many false claims published online by blockaders, protestors as well as anarchists and career activists, so let me set the record straight based on my living here with your forefathers and hereditary chiefs before they became chiefs. Claims that the pipeline will interfere with your ability to pick berries, the truth is few if any of you ever picked berries in the upper portions of the Morice River Road prior to creating the blockade. There are so many better and closer places to pick them, and nobody in Witset paid much attention to what clan owned a territory when they went berry picking. I was there side by side picking with some of them. For example a very popular spot is what they call the dome as well also a place called the microwave. Most of the people aside from logging using the Morice River Road are locals, call them what you want with insulting adjectives, but they were the primary users of the roads leading to Morice lake since they built that road, yes some of them were First Nations living in Houston as well. It makes no sense at all to drive all the way from Witset (Moricetown) to go fishing or berry picking, but it does sell well to people 1000 miles away who do not have a clue. Stop with all these racist slurs, it says a lot about who you really are. Colonialists and settlers are terms used in a racist manner by radical First Nations, it’s used as a demeaning term, and calling your own people sellouts and apples if they refuse to be a radical. 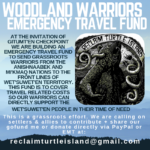 There will be a handful of you that might get rich from the GoFundMe and other fundraisers, but the majority of Wet’suwet’en will never see a dime of this sympathy money. Your blockades are played like Bambi vs the Machine. It’s all hype for the media, with very little in the way of facts backing up your claims. You claim you need the gate for protection, when in fact you displaced all the locals using the area for hunting fishing and other recreational needs. The gate is the cause of why you need protection, people are not happy about you people taking the law into your own hands illegally. It was you blockaders, primarily under the advice of Warner Naziel and Freda Huson that turned this into a hostile environment, not the peaceful one led by Bambi. Have you forgotten the content of the videos you posted? Yes some radical may well have attacked your camp, however watching the videos you have online and your cynical attitudes towards the people that go up there, it could be fair to say you instigated the safety problem. I do not condone their behavior or yours. Now we covered hunting and fishing for the people of Witset, but we did not cover trapping. Are there people still out there using the leghold trap to collect furs to sell for a living? You keep saying you need to hunt, fish and trap for a living, how many of you actually do that for a living? Most of you hunt with 4 wheel drives and heavy rifle, fish with nets that cost a lot of money, none of which is traditional. I won’t include trapping because for all intensive purposes its part of a history that will never return. Another mantra used by blockaders is, you do this for your children, the reason I am doing this is the same, I am doing this for our children. Note the difference between the words yours and ours? Not once have you used proven science or facts to support your claims that the pipelines will damage a way of life you never even used prior to becoming blockaders. You are only a few of the locals living here, but you keep saying one thing over and over again that really begs to be addressed. You keep referring to people who do not support your illegal campaign as colonizers and those who agree with you as supporters, but fail to say what side of the fence they land on when claims are settled. Likewise you so often express how much you hate the colonizers, but look among yourselves, the number of you getting married to colonizers keeps growing by the month. Do they all have to sign onto your views before they are allowed to get married? A lifelong friend who is also now a hereditary chief said one day in good humor, “the days of cowboys and Indians are over, it was a good movie, but we live in a whole new world with different rules than our forefathers before us.” How true his words of wisdom were, years before he became an elder. In closing I wish to say you will have little difficulty telling lies to promote your cause to the people who live thousands of miles away, making you appear to look like the victims of extreme abuse, but it does not change the truth, locals living here know the truth, much of that truth happened before you were born. It’s not only your elders that bear witness to the past and present, we locally all bear witness to how our friendships are being eroded at the expense of truth. With that said before you read what I have written, here is a message for all you blockaders and their fan clubs from Ellis Ross for those of you too ignorant to know who he is, Ellis Ross was elected MLA for Skeena in 2017. He currently serves as the official opposition critic for LNG and Resource Opportunities and is a Member of the Select Standing Committee on Legislative Initiatives. Given the amount of Canadians with First Nations included who are clueless as to the reality of First Nations lands I feel compelled to write in non-legal language a layman’s clarification of unceded territory. Now on the issue of gas pipelines on aboriginal land, after you have establish your ownership and not before. Read the following, one of many quotes from the DELGAMUUKW V. BRITISH COLUMBIA that radicals keep misquoting. NOW STOP Go back and read it again! This is directly out of the DELGAMUUKW V. BRITISH COLUMBIA verdict. Even after you proven that the land belongs to First Nations, First Nations cannot stop projects that our Governments sign off on as required for the good of the entire population of Canada. Much of what the Freda and Warner are declaring in aboriginal anarchism, its NOT the law or ever will be. Unceded land is a claim that simply means that you are saying you never gave up your rights to some land, it does not establish proof that you own the land. Large sections of British Columbia, crown land is unceded land meaning that Aboriginal Title has not been established, if it has then it’s no longer unceded it become the property of a given aboriginal nation or clan. It does not mean you own the land, ownership must be established first, it must be done by way of negotiation and a treaty will establish what will become aboriginal territory and to what aboriginal group the land in question will be given the rights to that land. For aboriginals to get 100% of what they are claiming in British Columbia would mean that 100% of non-aboriginals would have to leave and go where? Simply put this option will never happen. The press, as well as politicians make grandiose hay out of saying we are on the unceded land of this or that because First Nations want everyone to recognize the tittle to their land prior to any agreements. British Columbia is unique in Canada in that most of the province (an area that’s about 95 per cent of the land base, or nearly 900,000 square kilometres) is unceded, non-surrendered First Nation territories. Having said that it does not make any given First Nations band the owner of any specific piece of land, they need to prove they own it, and that was NOT done in the Delgamuukw v British Columbia case. To make the statement we are on the unceded land is nothing more than political grand standing, it might even give the incorrect perception of who is the actual title holder. Its wrong and should not be done on unsettled land. For example the city of Vancouver, if anyone thinks the title will revert of any First Nations they obviously have no clue about what was in the Supreme Court decisions. The very first rule is the Supreme Court of Canada does have the final say in all matters related to First Nations land as well as the people. That will not likely ever change. Clear evidence you do not get 100% of what you demand, or ask for, and might also explain why land claims have not been settled, simply because they are demanding far too much. Radicals keep throwing the case of DELGAMUUKW V. BRITISH COLUMBIA on the table and make the ludicrous claim that our courts have now said the land belongs to First Nations. I suggest you read it in particular read the section I highlighted in green. It would be closer to the truth to say that the case only proved that legitimate claims do exist. It also went much further on the subject, indicating that once granted to First Nations it does not give them 100% control, and that the land could at a future date revert back to the crown. “Lamer C.J. described limits on the content of Aboriginal title as reflecting its sui generis nature. In relation to prior occupation as the source of Aboriginal title, the applicable law seeks both to determine historic rights and “to afford legal protection to prior occupation in the present day” in “recognition of the importance of the continuity of the relationship of an aboriginal community to its land over time” (par. 126). Since continuity of relationship also applies to the future, lands subject to Aboriginal title cannot be put to uses that are “irreconcilable with the nature of the occupation of that land and the relationship that the particular group has had with the land which together have given rise to aboriginal title in the first place” (par. 128). For example, a group successfully claiming Aboriginal title to land that was occupied as a hunting ground may not use the land in such a way as to destroy its value for hunting. “The Chief Justice noted that assessment of Aboriginal title claims required adaptation of the Court’s existing “test” for Aboriginal rights claims relating to activities on the land. Aboriginal title, on the other hand, is a right to the land, which may itself be used for activities that, being “parasitic on the underlying title,” need not be individually protected by subsection 35(1) (par. 140). Both tests, however, shared broad similarities. It’s far from as cut and dried as the screaming lunatics out there would have you believe, the above are only a few examples. Read the entire copy DELGAMUUKW V. BRITISH COLUMBIA.